Well I've never ran 1,400 miles before only like three and that's only competition. I'm not really running a competition," said Riley Ortega. Riley Ortega is a Prescott Valley teenager with strong convictions about stopping pollution so he organized the run to support the nationwide demonstration at the Dakota Access Pipeline site where hundreds of Native Americans have gathered. The Hopi teenager comes from a long line of runners. 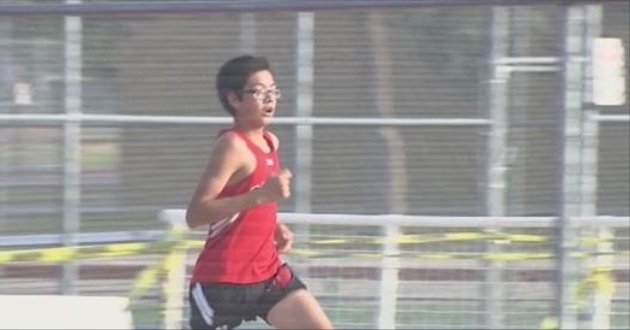 "He figured 'hey I'm only 15 what can I do' and he thought by running he could generate a lot of popularity and awareness to bring to the pipeline," said Lori Ortega, Riley's mother. 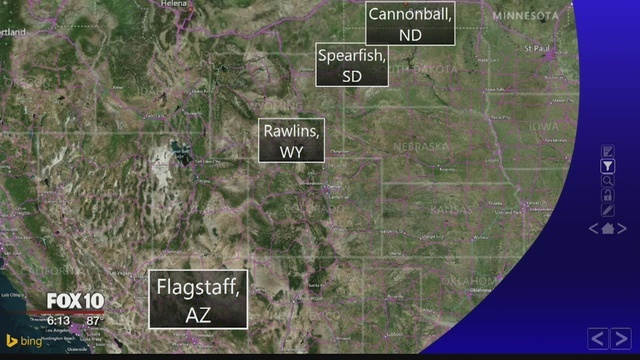 The interstate pipeline would carry thousands of gallons of oil across four states. The Lakota people are concerned about water contamination and say a pipeline break could devastate the Missouri and Mississippi Rivers. "My purpose was to raise awareness and help my people with the water," said Riley. "I was kind of amazed coming from a sophomore in high school to have this idea to want to contribute to that cause and do it in that manner was great," said Mike Simon, head coach at Bradshaw Moutain High School. Other nations are showing support. Three other runners join him on parts of the journey. His parents, Lori and Erin, will be there to support him on his remarkable trek. "We did not think twice. We said absolutely so we started making some calls," said Riley's mother. "I'm already making sacrifices by not going to sectionals or state," said Riley. A sacrifice he is ready to make. "We just want the world to know this pipeline needs to stop, but he's doing it for those that don't have a voice." Riley begins his 1,400 journey on October 28. Runners from the Apache nation and other tribes will join him on this relay run. Responses to "Native teen to run 1400 miles from Arizona to Standing Rock for pipeline protest"
Be strong, you are an inspiration. May the wind be at your back, and the weather smile the entire way.